Protect traffic areas & workstations. Create a see-through barrier for easy product visibility. 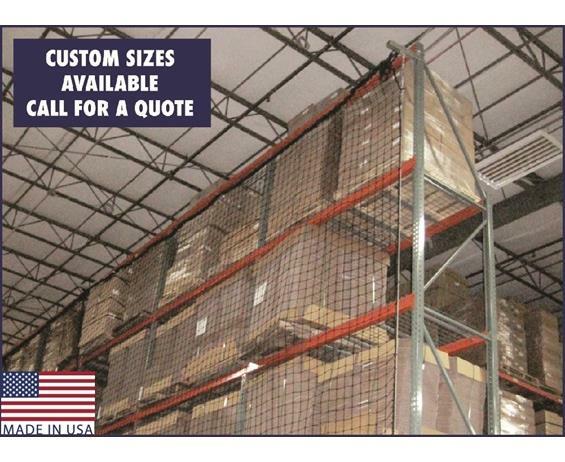 Carron pallet rack guard nets install on the back side of racks or in flue spaces where regular access is not required. Featuring 100% nylon mesh with strong 5/16" poly rope binding, Carron pallet rack guard nets provide an economical, easy-to-install, OSHA-compliant employee safeguarding and product containment solution. FOB Shipping Point. HOW TO ORDER: All nets are made to order. The net system is modular allowing coverage of up to three contiguous bays of the same height and width with a single net. Choose net height, beam length and number of bays of coverage for each net required in either standard (H76010) or heavy (H76025) capacity mesh. 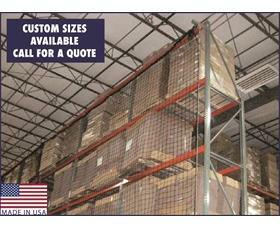 Ask about nets for load segregation, accessible rack guarding and conveyor protection. 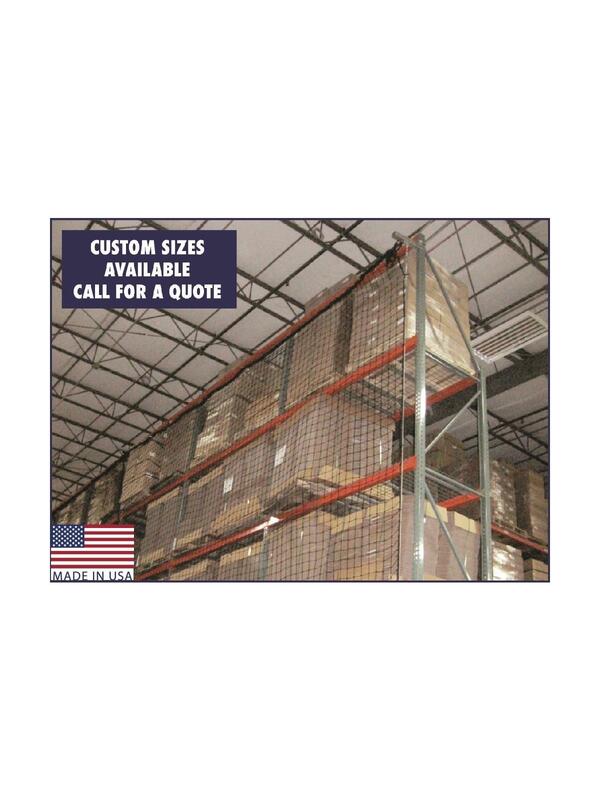 See Related Items tab for Installation Hardware for Pallet Rack Guard Net Systems.